I visited the Sun Liquor Lounge for my friend John’s birthday. 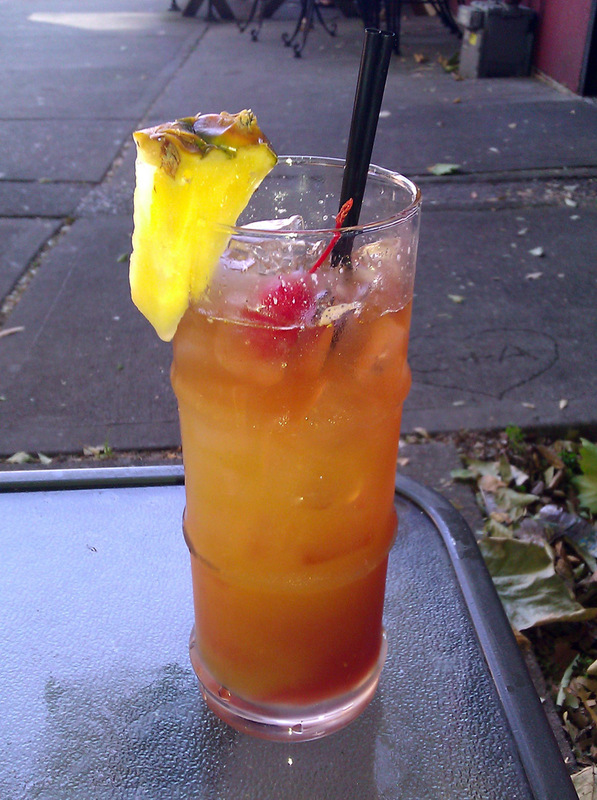 The Seattle weather gods must have been in a very unusual mood that day, because as I recall it was sunny and warm, and the Mai Tai sounded most appealing to everyone there. 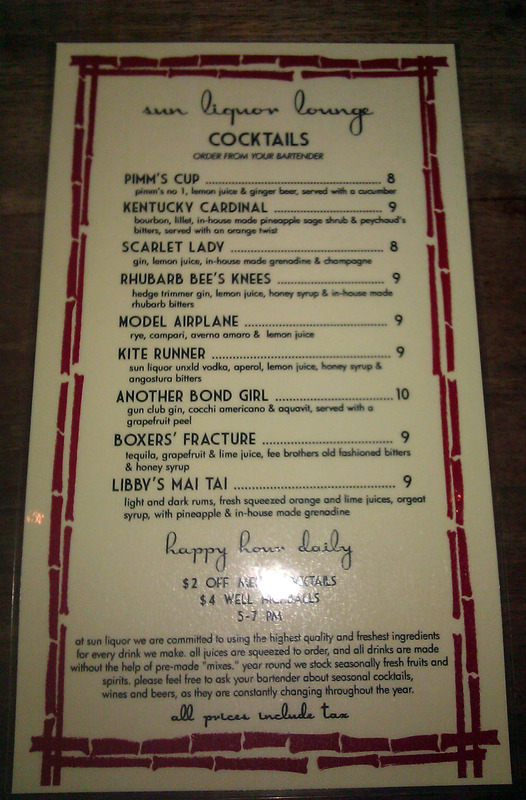 I am fond of the Sun Liquor Lounge’s aesthetic of faux orientalism, and I think that their menu is reasonably put together, with an appropriately-sized selection of modern drinks and updates to classics. I think the menu mostly speaks for itself. 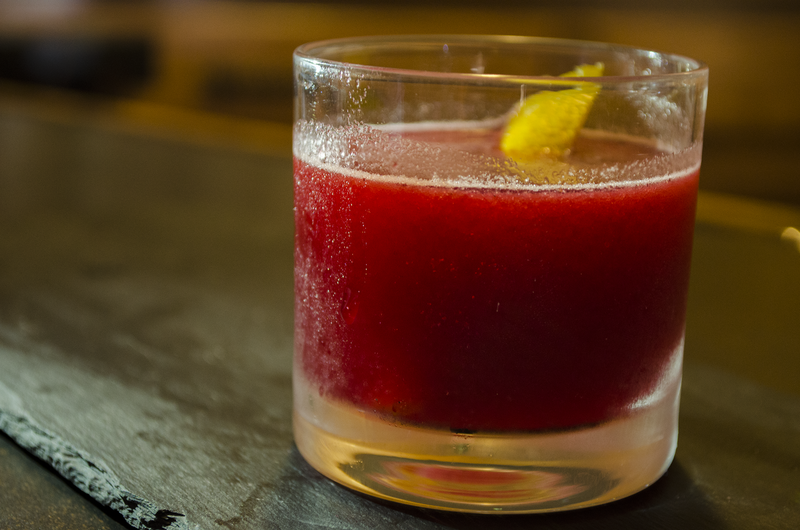 Another Bond Girl is a playful and modern take on a Vesper, the Kentucky Cardinal tastefully employs a shrub as its souring agent, and the addition of rhubarb to the Bee’s Knees is a great way to incorporate an unusual and seasonal ingredient. This is all capital stuff. The bartender built the drink in glass, neither stirring nor shaking. Such constructions are a delicate procedure, in which the order of the pours matters, because each ingredient has a different weight, and a proper integration requires that each ingredient be heavier than the last so that they will all fall in together. One upside to a skillful in-glass construction is that it produces beautiful color gradients across the drink, as can be seen here. This is, obviously, the function of the grenadine in the drink, though candidly, I could have done without it. Although the drink definitely caters to a sweet-craving palate, it was not cloying and it is highly appropriate to the tiki genre. Still, one of my favorite parts of drinking a mai tai is the aroma of fresh mint from the garnish, which was sadly absent. Even so, I like the Sun Liquor lounge and I think their style and the quality of their drinks is respectable without being pretentious. If you want to make their Mai Tai, you’re going to need some fresh grenadine, which you can make by combining equal parts of fresh pomegranate juice and sugar, and shaking them together until they are fully integrated. Caster’s sugar will dissolve better than regular white sugar, but either works. The critical thing with grenadine is to never heat it up. The best flavor comes from a cold process; heating it will cause many of the darker, earthier tones in the juice to break down, leaving only a candy sweetness. I’m going to give you Jefferey Morgenthaler‘s recipe, even though I haven’t tried it with the pomegranate molasses. Shake over ice and double-strain over fresh ice. Garnish with a mint sprig, damnit. Keep in mind that I have not tasted this recipe, and it’s probably not exactly right. I guarantee my version uses more lime juice than theirs did, but then, I was trying to dry it out. If you want a more accurate recreation, I would drop the lime down to one ounce. With so much sweet fruit juice, you’re going to end up with something a little heavier than you want in the summer, maybe. 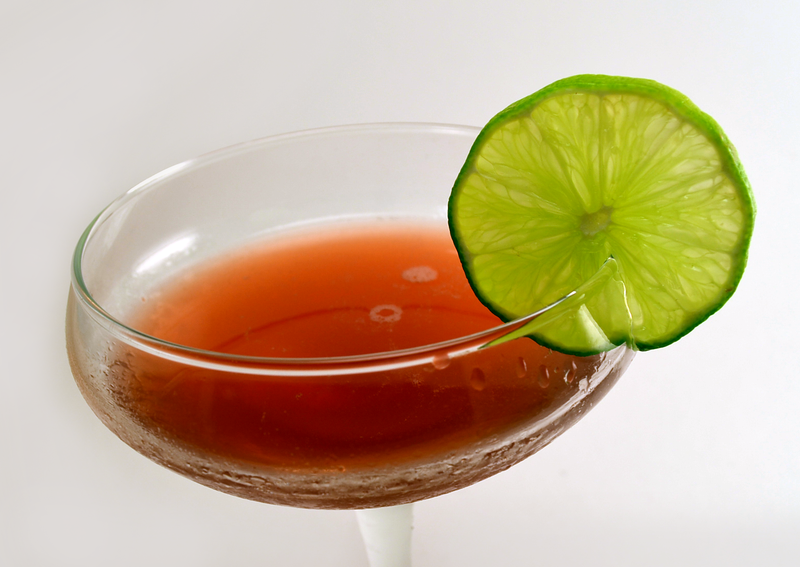 Categories: excursions, tiki | Tags: bars, booze, cocktail, cocktails, drinking, drinks, grenadine, lime, Mai Tai, mixed drink, orgeat, punch, rum, seattle, tiki | Permalink.